Looking for a INFINITI QX70 smart remote for your new SUV? 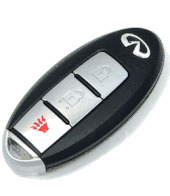 Purchase your replacement Infiniti QX70 Remote smart key fobs from us and save huge. 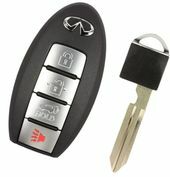 Great selection of OEM Infiniti QX 70 proximity remotes, transponder keys, remote transmitter colorful rubber covers and accessories at discount prices. We sell original OEM Infiniti remotes.